I remember how my mum and grandma used to make compotes. They were meant to be eaten only during the winter time. They boiled and pasteurized the jars and then there was a long, long waiting time for us before we could enjoy the compote. Luckily, now I cook in my own kitchen, and I like to eat compotes sooner than later. By that I mean – by the time I cook them and they are chilled. As with these apricots. Cooked with Lillet blanc (more about Lillet here), they soak up the orange from Lillet, lots of spices from rum, and more from my additions. And then, nothing else is needed. Just some ice cream, whipped cream, ricotta, or maybe some sponge cake served with ice cream. That's it. Plus, it’s an excellent gift. Take a large, heavy saucepan. Put all the ingredients (except apricots) into the saucepan and bring to boil. Add apricots and simmer on a medium heat for 7-10 minutes until the apricots are soft but still firm enough to hold their shape. 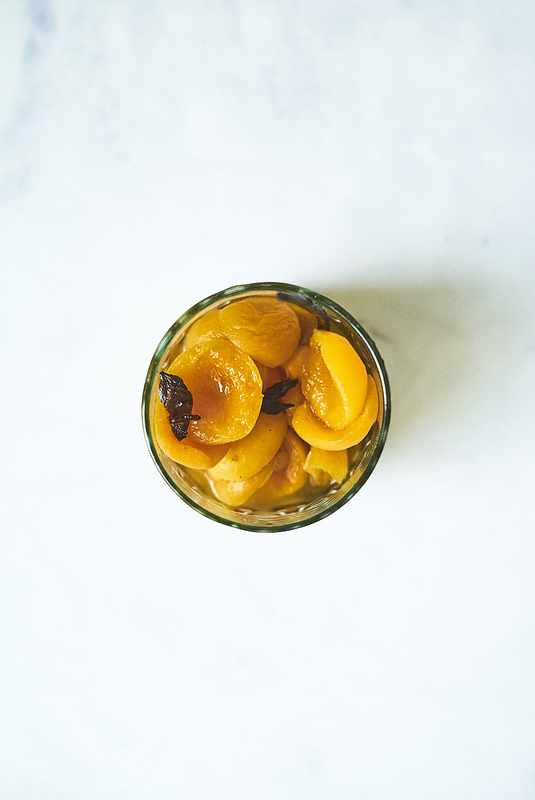 Using a slotted spoon, lift out the apricots and put them into a jar. Turn the heat up to the highest and continue to boil until the liquid reduces by half and is syrupy. Pour over the apricots, and let them cool completely. 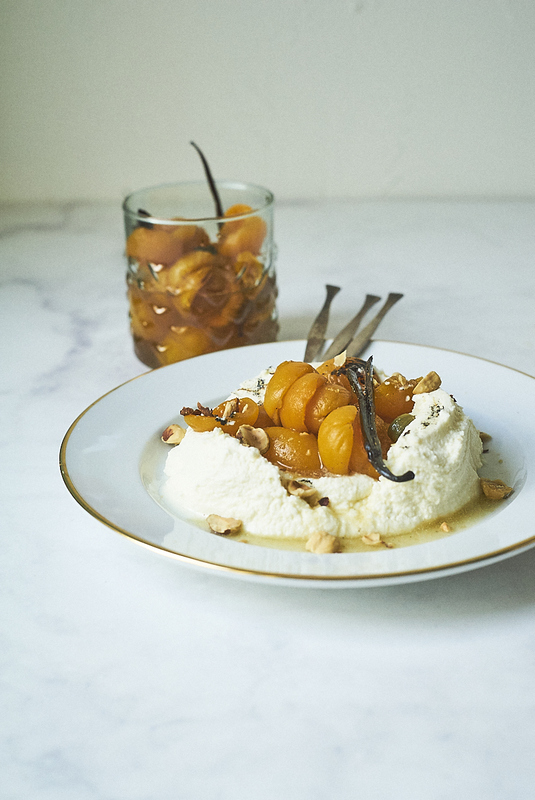 Serve with ice cream, whipped cream, ricotta, and some pistachios.